The answer is yes. Millions of Americans have taken farming from rural parts of the country right into the city. This includes big metropolitan cities like New York City, Los Angeles, Chicago, Houston, Detroit, Austin, Seattle, Denver, San Francisco, Boston, Milwaukee, Philadelphia, Memphis, and Minneapolis. So, what is urban farming? 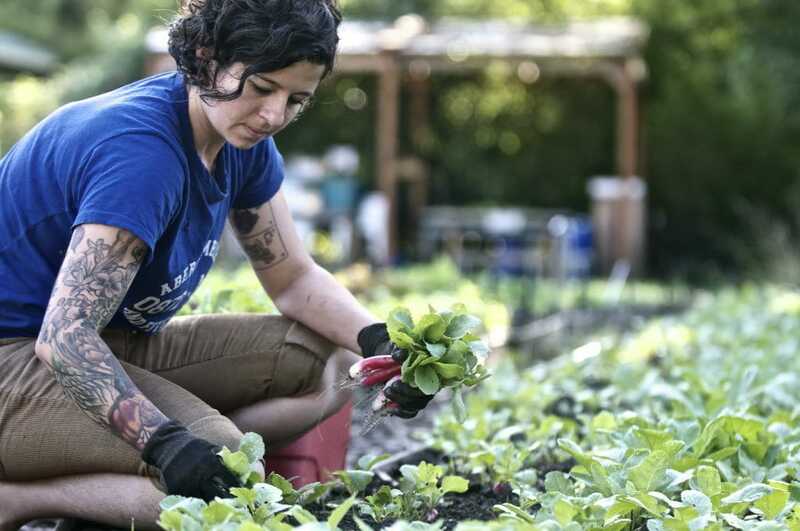 This guide, “Urban Agriculture 101: All About Urban Farming in the U.S.,” will help you understand terms like urban agriculture, urban tree farm, urban farming, and organic farming. Plus, how to turn this information into your own practice of farming right there in your backyard, or linking up with neighbors to form your own urban farm to produce a fresh supply of food without having to visit the local grocery store. 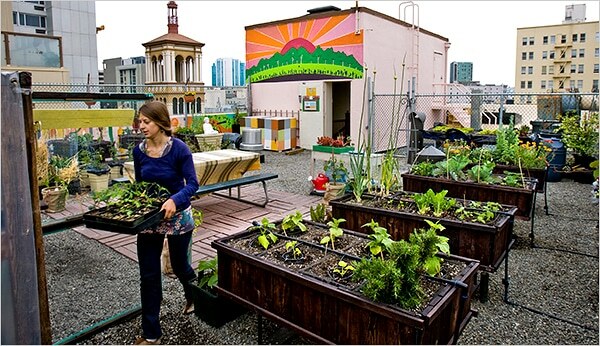 What Is the definition of Urban Farming? Urban Farming is essentially the practice of farming within city limits. This includes growing food, tilling the land, and forming supply networks with other residents in your city. If you have space in your backyard and the right kind of soil and sunlight, you can turn that dirt pile into a food garden or organic chicken farm. The problem for many Americans is we are simply too busy to start a garden or cultivate the land to produce a good supply. So, we buy produce, beef, or chicken from the store to avoid the headache of using our land. Money talks, though. 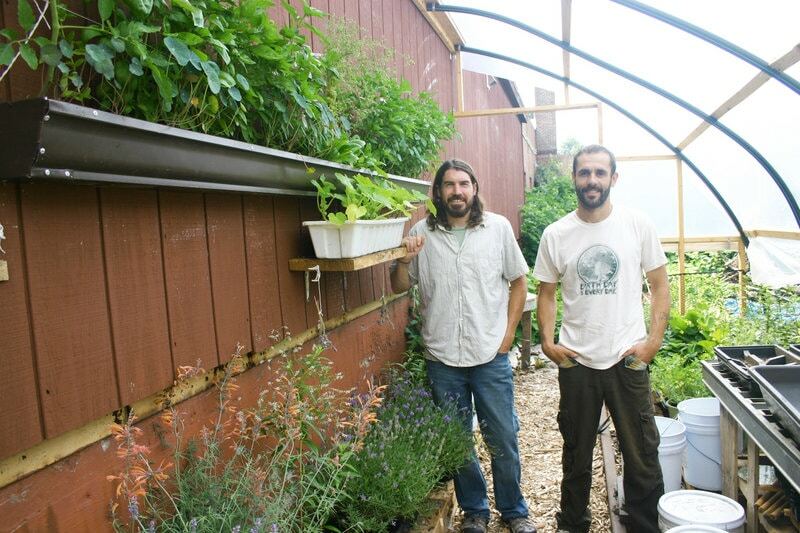 What if Americans could save hundreds of dollars per year by growing food themselves? Men and women already spend hundreds of hours at the grocery store per year, so why not spend that time working in the backyard on a garden or farm? Most people simply don’t know how to garden – it was something their great, great, grandparents did. Or, they don’t want to handle live animals that are not a cat or dog. 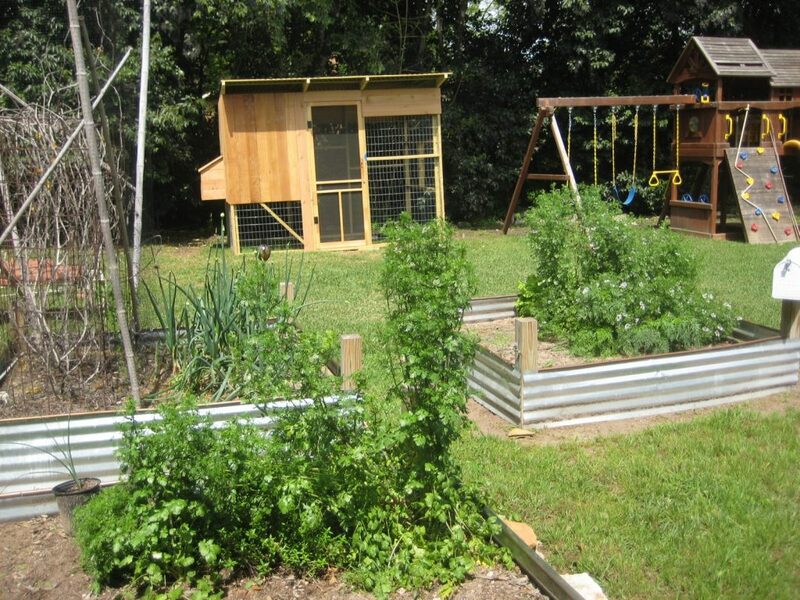 Fortunately, there are many resources decide whether urban agriculture is right for you and your family. BeginningFarmers.org is a great tool for getting the most basic information about urban farming. The concept of farming is foreign to most Americans who live in big cities or surrounding suburbs. Yet, you do not need ten acres of land out in the middle of nowhere to start your own farm. The Beginning Farmers website also provides blog links to information specific to your area – from California to New York. For Californians, the Family Farm Series Publication includes information on how to get started and determine whether the concept is right for you. Another useful resource is the Garden Culture Magazine to get an idea of what urban gardening, indoor gardening, and organic gardening looks like among regular citizens. There are also online resources that explain how to offset the cost of urban farming, such as group discounts, coupons, and cheap seeds. So, if farming can be done in your own backyard and resources are available online and places like Lowe’s or Home Depot, then why doesn’t everyone do it? One of the significant barriers is people not understanding the importance of urban agriculture. Why Is Urban Farming important? There are two ways of looking at why urban farming is important. One is using our available land more productively to build a sustainable ecosystem. This will ensure quality life and food for generations to follow. The other way of looking at urban farming is reduced dependence on big companies who take food through several different processes, add chemicals, mark up the price, and sell a lower-quality product to unsuspecting customers. The food is simply not as healthy as growing it yourself. But, the yardman replied that these are the best oranges because they are grown naturally. “Don’t look at the outside; take a bite,” he told the man. So, the man took a bite and noted it was the best orange he had ever tasted. The yardman told him that oranges he typically buys at a store have been processed, dyed with orange coloring to look appealing, and marked up for profit. So, use the resources in your own backyard! Urban Farming puts the emphasis back on the individual consumer, not the big corporation making money off our food supply. It’s also good for our ecosystem to use the land for its intended purpose. Plus, communities have access to healthier food to improve the quality of life for its citizens. This is part of a generational shift that could impact future generations in significant ways. For example, Americans went from making their own turkey sandwich at home using locally-grown food to having someone else make a sandwich for them using processed food that was shipped from another state. Americans have become too dependent on other people for food, teaching our children to simply visit Subway for a turkey sandwich instead of using readily available resources to make our own sandwich at home, at half the cost. Urban farming is a way to bring natural food back to major population regions that will help educate children on the importance of sustainability and independence. When land is used for urban farms instead of parking garages, it sends the right message that healthy food is more important than business profit. There is still profit to be made from urban farming – this is America after all! But, too much control of the food supply is concentrated in the corporations that package, ship, and market processed food that is sold at double the cost in national sandwich shops or restaurant locations. Education is vitally important to help future generations understand the importance of farming. This is especially true in large areas where guys and girls can discover ways to produce their own food and learn about the benefits of a sustainable lifestyle. These students might also come up with ideas for future implementation of farming technology by having upfront access to urban farming right in their backyard or school park to learn by doing. Urban Farming has become popular in big cities throughout the U.S., especially in California where tax credits and grants are available in cities like San Francisco and Sacramento. Many city officials see the benefits of urban farming as re-purposing lands, such as empty lots in residential neighborhoods, or vacated businesses in run-down areas. They are willing to provide tax breaks or other incentives to individuals who commit to running an urban farm for a period of time, sometimes 3-5 years. If you ask knowledgeable people what the top cities are in urban farming, the list will vary based on the criteria. But, the consensus is Detroit and Chicago are leading the way in the Midwest, Austin is leading the South, San Francisco, and Portland are leading the West, and Boston is leading the East. Avery Yale Kamila photos: David Homa and Eli Cayer stand in the permaculture garden behind the Urban Farm Fermentory in Portland. These major cities have developed a culture of urban agriculture, whether because of tax breaks, consumers deciding to take back power from big food distributors, or the sense of community pride that urban farming collectively creates. Other big cities that have built a reputation for urban farming include Minneapolis and Milwaukee in the Midwest, Seattle, and Denver in the West, New York City, and Philadelphia in the East and Memphis in the South. One big case study is Detroit, which went bankrupt in the early 2010s. The local government in Michigan decided to create incentives for urban farming to fill empty or abandoned property, like parks, trying to reinvigorate the economy. The move has helped Detroit’s rebirth after reaching the lowest point of declaring bankruptcy. There’s also New York City, which seems like the last place you would think farming would take place. We think of Times Square and busy streets filled with pedestrians. 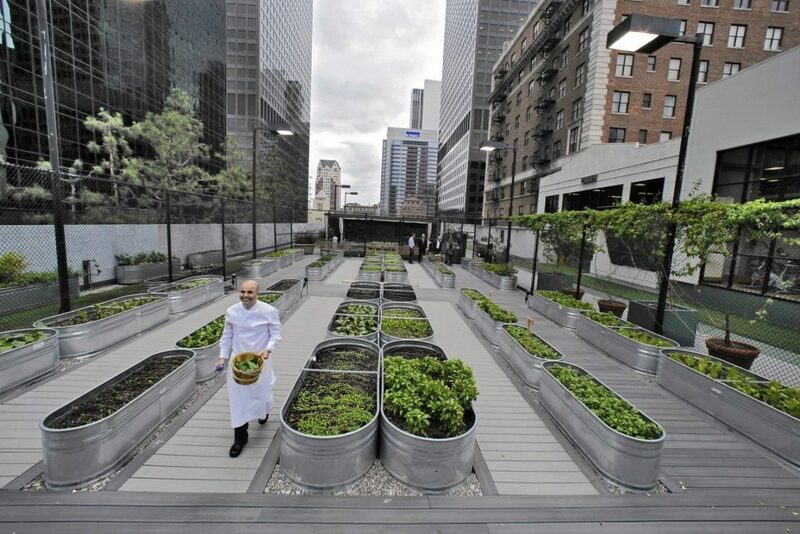 But, there is a flourishing NYC urban farm market utilizing rooftops, like homeowners in Chicago, and large parcels of land to grow food and plants. Other unique farming initiatives in big cities include the P-Patch community in Seattle, the Green Healthy Neighborhood Plan in Chicago, the Food Forest Coalition in Boston, the Capital City Farming movement in Washington, D.C., the Metro Atlanta Urban Farm in Atlanta, the Emerald Street Urban Farm Project in Philadelphia, the Urban Farming Guys in Kansas City, the Urban Farm at Stapleton in Denver, Roots Memphis, the Eggplant Urban Farm Supply in Minneapolis, Urban Harvest in Houston, and Growing Power in Milwaukee, which is headed by Will Allen. Urban agriculture is not just limited to food and animals, though, as urban tree farms have popped up in cities across the U.S. 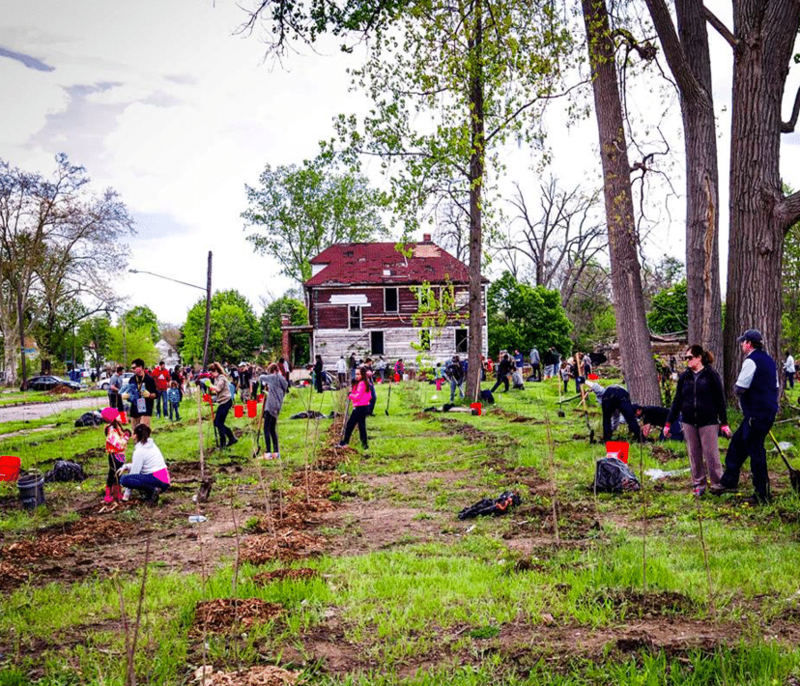 In Detroit, the Hantz Farms organization claims to be the “world’s largest urban farm planned for the City of Detroit,” using land for tree-planting to make Detroit more livable with rows of new trees on previously unused land. Also in Detroit, the Earthworks Urban Farm has become a pillar of the community through its work growing food for soup kitchens. Workers know the work they are doing is vitally important for their city and recently-displaced citizens. As part of the healing process in Detroit, people have come together over farming to revitalize their city. What about Southern California cities like Los Angeles and San Diego? They have access to massive amounts of land and sunshine, but they are behind their Northern California counterparts like Oakland, San Francisco, and Santa Rosa. Local government agencies recently implemented policies that allow for urban agriculture to thrive, which has the potential to shift California’s economy. What Are the Benefits of Urban Farming? One of the key factors in the rise of urban farming is the advancement of technology. No longer is farming just an ox and a plow, or the picture of an old farmer sweating in the sun while covered in dirt. Technology has made it more do-able and beneficial to farm in your own backyard, with neighbors, or in your city. Jobs are being created in cities where technology is being used to create things like vertical farms. You’ve heard of real estate going vertical in big cities that are running out of land to build neighborhoods. 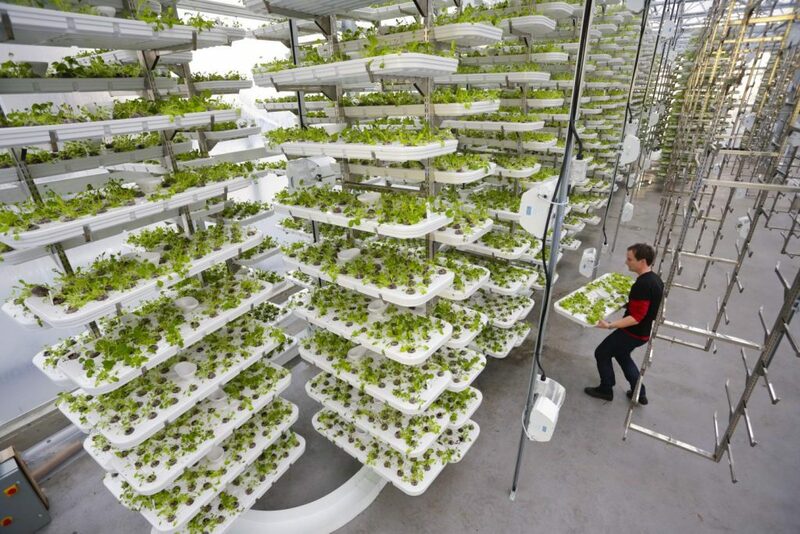 In urban agriculture, vertical farms are being built for several different purposes. Included is aquaponics that taps into the relationship between fish and plants to grow food. It sounds like something out of science fiction to grow food without using soil or the ground, but technology has advanced to use available resources to produce real food. The benefits of urban farming are endless by tapping into space that was previously unusable or wasted in previous building plans. If using space that was previously an office building or house built in a previous era, there is concern about the quality of the land. Soil tests can determine if food, plants, or animals can grow and form roots without risk to the consumer. Or, farm industry experts are trying to tap into technology like aquaponics to come up with new ideas for producing food without needing to worry about the condition of the land. Are Farm Animals Used in the City? Earlier in this guide, we talked about an organic chicken farm right there in your backyard. Yes, this is possible. 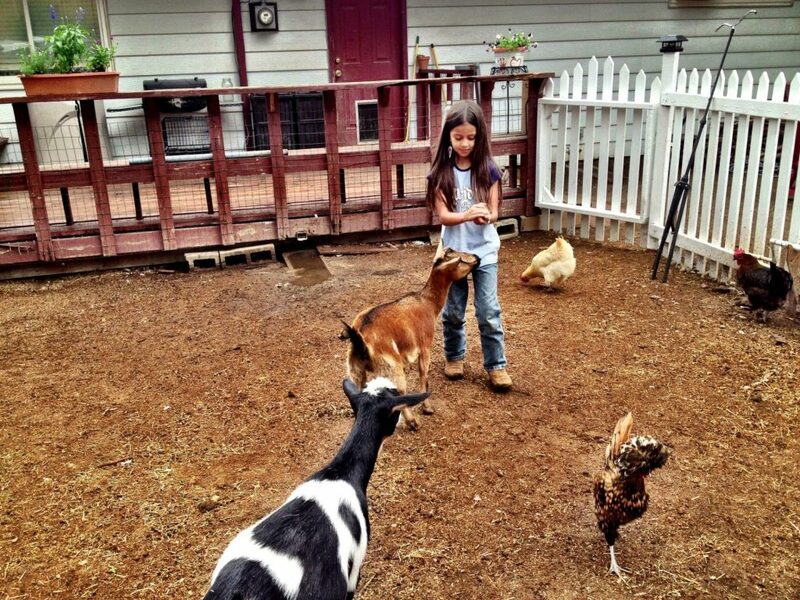 You should check with your local government to make sure having farm animals on your property is legal and within the deed restrictions of your housing authority, but many governments are becoming more receptive to the idea as the popularity of urban farming has risen. According to Hobby Farms, the six most popular animals used in urban agriculture are chickens, rabbits, ducks, quail, goats, and some forms of cattle. Yes, if your local government allows it, you might be able to make room in your backyard for a small steer that produces milk. The most popular urban farm animal, chicken, can produce eggs and also be turned into family dinner. Chickens can also be raised in your backyard to then sell to other farmers – whether urban or rural. This is all part of a sound business plan – knowing how to utilize your food, crops, and animals for multiple purposes. As for goats, you typically only encounter these cute animals in the city at petting zoos or Christmas events. But, a small goat can also be useful for urban farming, including producing the three Ms – milk, meat, and manure. But, which cities are the best for the animal side of urban farming? According to Modern Farmer, the Top 5 includes Austin, Seattle, Chicago, Boston, and Sommerville, Mass. Austin tops the list because of their friendly zoning laws and allowance for urban farmers to kill their animals on-site. Other cities do not allow animals to be killed and sold in the city limits, but Austin has allowed ordinary people to be part of the entire farming process. Seattle’s ordinance might force some residents to take their farming indoors to avoid driving away residents who aren’t too fond of the smell from an urban farm. What Is Indoor Urban Farming? 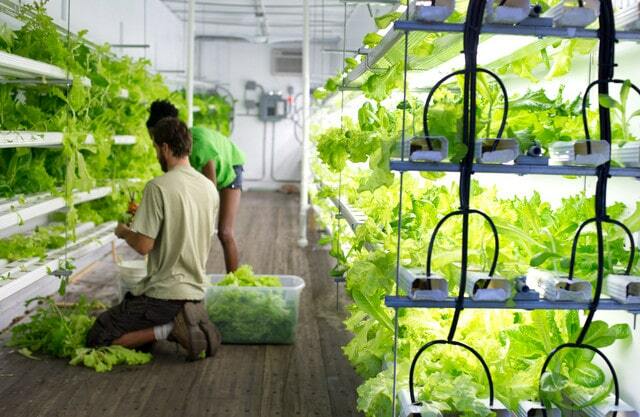 Experts in the farming field see indoor urban farming very differently. Some see it as good use of buildings that were formerly warehouses or giant storage spaces. Others see it as the wasteful use of space that uses more energy and hurts the environment more than if the building just sat empty and unused. Throughout history, people have wrestled with the idea of how to effectively use indoors space. 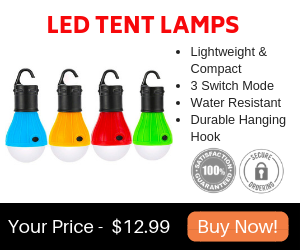 For sports fans, there is the story of the Astrodome located in Houston, Texas. Prior to the 1960s when the Astrodome was formally introduced, baseball executives spent decades trying to figure out how to bring baseball out of the elements of heat, rain, and insects to make it more enjoyable for spectators. But, no one could figure out how to make sure the grass used in the baseball playing surface would continue growing without the natural resource of the sun. Enter plans for the Astrodome – the world’s first indoors sports venue of its kind. 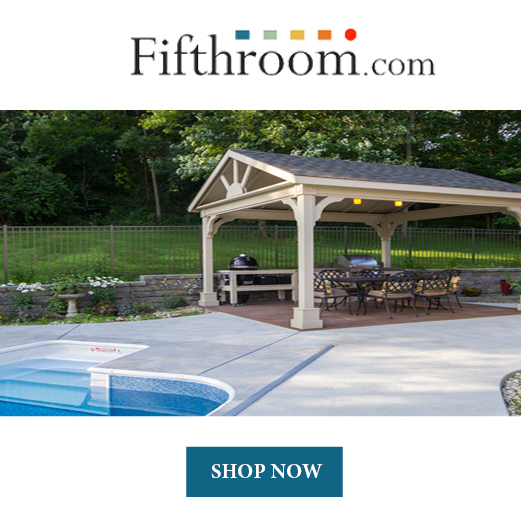 Plans were made, the building was completed, and financing was secured. But, what about the grass? This turned into a giant game of trial and error. Panels were placed atop the Astrodome’s roof to conceivably allow the sun to shine through and keep the grass alive. Unfortunately, players could not see the ball when it was hit into the air, causing embarrassment, a few injuries, and poor quality of play. So, the panels were covered and the grass began to die. Now, what? Enter the synthetic substance that would become known as AstroTurf. The panels could be covered up to allow players to see the ball and a new kind of playing surface would make up for the absence of grass. Unfortunately, the playing surface was not easy to play on. Players complained of rug burns and other injuries that came from running, sliding, and jumping on an unnatural surface that was not really like grass. But, AstroTurf remained because there was no alternative. The cost of doing business sometimes outweighed the benefits of air-conditioned baseball and other special events in a very warm climate like Houston. The question can now be applied to indoor urban farms – how do you use the power of the sun and weather for indoor farming without the cost outweighing the benefits? Opponents of indoor farming have said that the technology needed to utilize the space for farming is more costly to the environment and its people that the benefit of the crops that are produced. Attempting to control the environment is costly. However, proponents of indoor farming say every new initiative and technological advancement has its initial costs. But, once the technology is brought up to scale and costs are reduced from more efficient production in abandoned warehouses and other urban buildings, the benefits of sustainable food should outweigh the costs. The overall question is whether indoor urban farming is a good idea, even if the benefits outweigh the costs over time. Or, would this be too much of a pull on the ecosystem to “force” farming in an unnatural environment, away from the natural environment of sun, land, and soil. With the rise in popularity of urban farming, scientists will have to study the effects of indoor urban farming on our environment to determine if this is a good or bad practice when conducted at a large scale. How Can I Start My Own Urban Farming Projects? Moving away from massive warehouses to determine if they are a good fit for large businesses to farm indoors, let’s head back to your yard. After reading this guide, you’re probably wondering how to get started, and is the start-up cost worth the trouble? 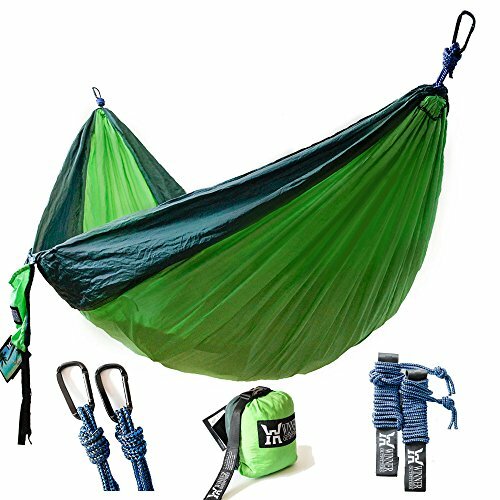 Should I just stick to buying my food, meat, and other produce at the store down the street? The benefits to urban farming are tremendous if you have the right conditions, design plans, and patience to see through the process. It is essential to check the conditions of your soil before starting any farming project. There could be high levels of toxins or other chemicals in your soil that would prevent you from growing sustainable food. The Environmental Protection Agency (EPA) institute has released a fact sheet with information on how to check your soil and see if it’s sustainable for urban farming. If you determine that your soil is not capable of urban farming, then consider alternatives such as removing and replacing the soil or using raised beds. If you determine that your soil is ready to begin a farming project, determine what you want to grow. Do you want to start with a basic garden containing fruits and veggies? Do you want to grow chickens to produce eggs and be raised to sell to other farmers? Determine how much you want to spend initially, as start-up costs will be hundreds of dollars to make your backyard ready for farming conditions. This includes buying supplies to work the land and finding the right products like seeds, plants, and feed. Be sure to check for grants issued by your local government to see if there is a way to offset initial costs. Again, you might think you are spending too much money when you could simply buy all of these products at the local grocery store. If you want to be successful in urban farming, you must have a long-term approach. The benefits of cost-saving and healthy living will eventually outweigh the costs, but there will be some discouraging moments when you question whether you are wasting money by spending $100 to plant a tomato field. The key to farming is staying the course, being patient, and waiting for nature to do its thing. If you’ve ever planted a few flowers in your backyard and they died in a week, you might anticipate the same result when planting food. So, do your research, understand how the process works, and follow a schedule to ensure you get the most out of your crops. Stay focused on five, 10, 15 years down the road when you no longer have to drive to the store to buy produce covered in chemicals, or when you feel healthy and energized because you are consuming natural food grown in your own backyard. Is Urban Farming the next big revolution in America? If you surveyed 1,000 city-dwelling Americans, it’s likely that only a percentage have even heard about it, unless you live in an area where urban agriculture has become part of the norm. Urban farming is not yet part of the American cultural conscious, making it more reserved for the types of people who frequent coffee shops or seek out hip restaurants in their city center. You might come across someone at a party who has experience with urban farming or actually is an urban farmer. At the very least, this guide will allow you to have an educated conversation about sustainable living and bringing farming from rural areas back to the mainstream. Maybe you will decide that you’re tired of depending on others to produce or make your food, and you will strongly look into urban farming to decide if your backyard or community park filled with beautiful oak trees is ready to be repurposed. Urban farming at its heart is about repurposing land that has been over-used or abused for city purposes to benefit citizens who want to live a more fulfilling, healthier lifestyle. Is it time to tear down an abandoned warehouse and turn it into an urban farm, or repurpose the warehouse for indoor urban farming? Are there acres of abandoned land in your neighborhood – do you drive by that land and think about what could replace it? Why not consider organizing neighbors to turn it into farmland? Or, if you have the funds, why not buy the land perhaps using grants or tax breaks from your local government to start your own urban farming business? There are numerous ways to repurpose land in your city. We typically think of tearing down old buildings and replacing them with parking garages, condos, or shopping malls. Perhaps the concrete flooring makes it seem like the only thing that can exist in the same space is another concrete structure. But, if enough people start making noise about urban farming, businesses will begin to consider alternative methods of using land and making the profit, but in a way that satisfies a sustainable lifestyle. Right now, urban farming is the cool thing to do among hipsters who want to be independent and encourage others to follow suit. If urban farming “goes mainstream,” will empty lots suddenly turn into rows of farmland overnight? Unlikely, as the barriers to entry might be too prevalent for city-dwellers who enjoy their lifestyle. But, if looking for the next revolution in business, home improvement, or social settings like backyard BBQs, urban farming is on the rise in cities across the U.S. In ten years, you might find yourself standing at a backyard birthday party looking at a garden, row of fruits and vegetables, and a few chickens sectioned off in your friend’s yard and think it’s completely normal. You might even think it’s worth looking into to see if urban farming is right for you. We hope this guide has been helpful to provide you with some basic information about the definition, purpose, benefits, and examples of urban farming that are available right there in your backyard, and in your city. You might be surprised to find out there are financial rewards to growing your own food and living a healthier lifestyle that center on knowing that you took control of your own food supply and encouraged others around you to do the same. After getting to know urban farming, the next time you walk into a grocery store, you will probably see produce and certain types of food differently. You might even get some ideas for how to grow your own food by reading the labels or descriptions of food found in the produce section. Don’t let those ideas simply remain in your head, but use this Urban Agriculture 101 guide to help you get started on walking into the Home & Garden section at Lowe’s or Home Depot with confidence to ask the right questions and potentially plant a new life for you and your family right there in your backyard.